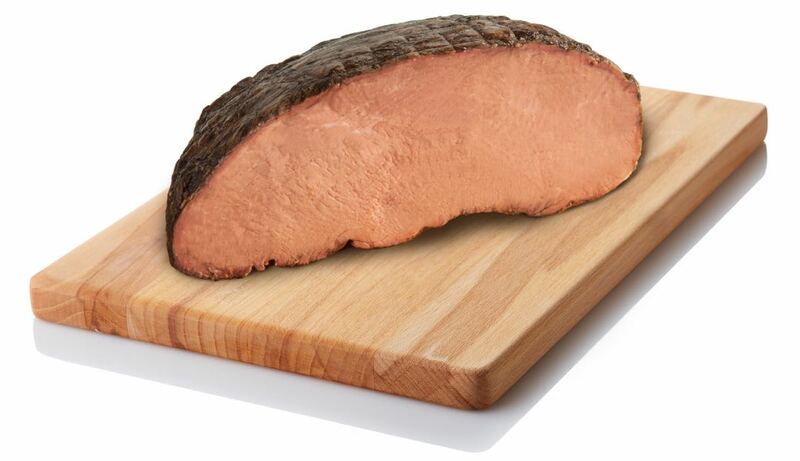 To meet specific dietary needs, we offer Halal Certified Roast Beef. Our Gourmet Gold Label Roast Beef is ready for slicing and the creation of your perfect sandwich or meal. Perfectly cooked and seasoned with a deli face for maximum visual appeal gives you unsurpassed results. 1. Fully cooked and ready to serve. As a Chef, Food Correspondent, Sommelier and Lifestyle Expert, Jamie Gwen shares recipes, resources and tips to help make every day more delicious. “Food & Wine with Chef Jamie Gwen,” her Nationally Syndicated Radio Show, can be heard on 52 Radio Stations across the U.S. including Talk Radio 790 KABC in SoCal. Jamie can also be seen on National and Local TV shows across the country and she brings her culinary expertise to Riviera Magazine and Taste Magazine, as a Contributing Editor and Writer. Jamie is a Certified Sommelier with the Court of Master Sommeliers and a Four-Time cookbook author. Her recent victory on the Food Network’s “Cutthroat Kitchen” has brought even more acclaim to Chef Jamie’s California Comfort Food and her simple, seasonal approach to making every day more delicious. Most recently, Jamie served as a Judge for Fox TV’s Master Chef alongside Gordon Ramsey, Graham Elliot and Joe Bastianich. Infused with the joy of cooking from a very young age, Jamie graduated from the prestigious Culinary Institute of America in New York, then continued to pursue her career under the tutelage of many world-renowned chefs. In her spare time, Jamie enjoys tennis, dedicating her time to charities, creating new recipes and lunch! Thank you for your interest in our products. Please fill out the form below and someone from our team will contact you as soon as possible. The product you were viewing will be included in this submission so our staff will know what specific product you were interested in. Thank you for your interest in our products. Please fill out the form below and someone from our team will contact you as soon as possible. Franks come in a variety of lengths from cocktail weenies to super big dogs. Hoffy Foodservice can help you find the right match for your needs or in some cases create a custom frank for you. 3 inches Perfect for appetizers or young kids. 5 to 6 inches Standard length, shorter than a standard hot dog bun. 6¾ inches Bun length, fills the hot dog bun so that every bite has the bun and the frank. 9 to 10 inches Extra long, extends beyond the standard hot dog bun. The combination of length and diameter determines how many franks per pound. 2/1 Yes, this is a super colossal half-pounder. Great for sports bars. 4/1 Formerly the standard for big appetites, quarter pound franks offer a hearty portion. Most common size for foodservice. 5/1 Jumbo Frank offers a similar hearty portion as a quarter pounder at a slightly lower portion cost. 6/1, 7/1, 8/1 Standard sizing that offers a Frank that is “just right” for most menus. 10/1 The portion size for small bites and appetizer menus. Hoffy is pleased to offer select products produced under the guidelines of ISA – Islamic Services of America the oldest respected global Halal Certifier in North America. Their independent monitoring assures you and your customers that the raw materials, processing and finished products meet the Halal Certified standard.